I like experiments. 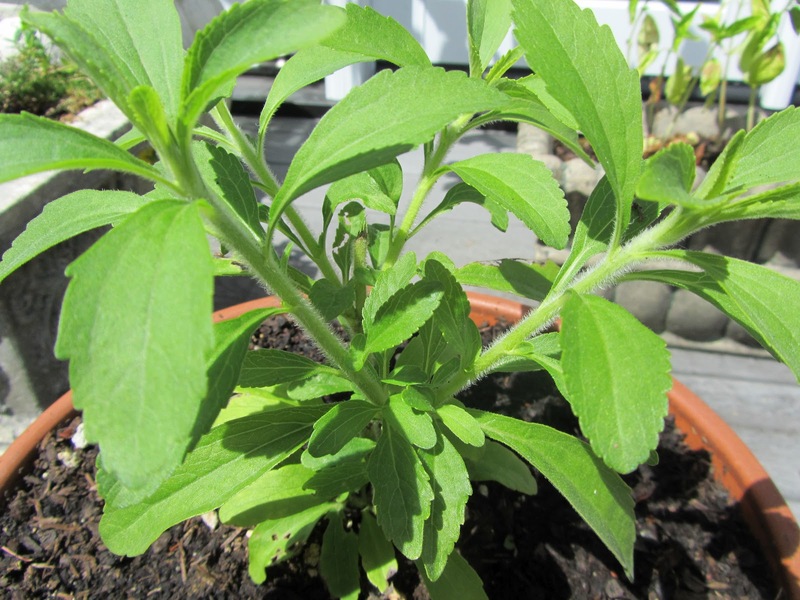 My summer experiment continues -- growing my own stevia in a pot. I moved "Steve" indoors from the deck over the weekend. The nights are just now dipping into the 40s F around here, and I want to overwinter my "guy", so I can try growing it through next summer. We'll see how it does. I've taken 2 cuttings off of the plant, and dried it all. I pulverized it in my coffee grinder. 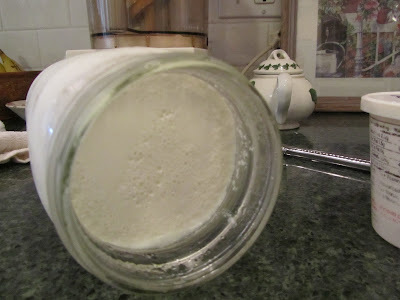 The 2 cutting made just over 1 1/2 tablespoons of finely ground stevia. It has a fake-y taste just plain, which I don't care for. But I blended it with about 2 tablespoons superfine sugar (regular sugar pulverized in the coffee grinder). That's a good blend. I tried a bit in my tea this morning. I used about a rounded 1/4 teaspoon of the stevia-sugar blend. That sweetened my tea almost too much. I would normally use about 3/4 teaspoon of sugar for this tea. The sweetening continued to develop as the tea sat, probably because these are real leaves, not an extract. Next time I'll add the stevia to the tea while brewing, and use less, crossing my fingers that I get it right. And now, I introduce my winter experiment -- an indoor veggie garden. I have a grow-light that I use to start my seedlings indoors. On tomato plants alone, I save about $15 per year by using the grow-light. In our area, because the last frost date is in May, it's best to plant out larger plants. The small seedlings that sell for $1 each are too far behind, by the time I can plant out, in my perpetually cool garden. So, by starting tomato seeds indoors, I have a good-sized tomato plants, ready by early May. In all honesty, the grow lights are a functional "toy". They will take me 6-7 years in payback time, with flower and vegetable seedlings. But we all like to play with toys, right? I also have a rosemary seedling under there. And as soon as the lettuce plants become tall enough, I'll raise the lights and add my potted basil. I started the basil mid-summer, and kept it on the deck until September. It sits in the window right now, but will probably benefit from more light soon. So, I don't really know how any of this will work out. It's just an experiment. But it's fun and it may reward me with salad greens and basil for pesto, when it's cold outside and not a green thing growing. 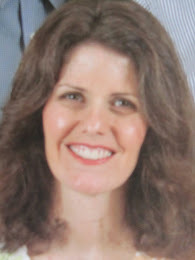 I love experiments too and especially like your stevia experiment. Also, I have found that basil roots easily in water, and I have started a stem or two from the last of the last plants of the season before. I had it all winter, but it wasn't as robust as if it were outside. However,I had enough to use in cooking but not enough to make pesto. I didn't know that about basil. I'll give that a try. My potted basil is looking fairly bushy. I think I could trim it and make some pesto. I have about 8 plants in a terra cotta pot. Keeping my fingers crossed that it and the stevia will over-winter indoors. 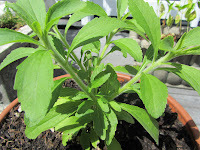 I buy stevia, but never thought of trying to grow my own. Can't wait to hear how "Steve" does inside. Stevia is a perennial in warmer climates. So I'm hoping I can take care of it inside until spring. I'll keep you posted. I found the plant at Home Depot in their herb section. You have a much longer growing season than I do, and if you could find a plant, you could probably get quite a bit more than I have. I was a bit surprised just how easy it all was, turning it from dried out leaves into a powder (in my coffee grinder), and then I blended it with superfine sugar until I liked the taste, but that wouldn't be necessary. I imagine I could bake with it as well, as a stevia-sugar blend. For now, it will go in my high anti oxidant tea that I've been drinking every afternoon. I'd also like to try growing tea. It would have to be green tea, as I have no idea how to ferment it. But I understand you can grow the tea plant (I think it's called Camellia Sinensis) in a pot in my region. Wishing you tremendous success with your indoor garden! Thank you, Jayne! I've had one small salad so far. I put one of those wall socket lamp timers on it, so I don't have to remember to turn the light on and off. I just need to remember to add water regularly. I'm guessing I'll need to add some compost tea or something for fertilizer at some point. Thanks for your comment. Good luck with your indoor garden. 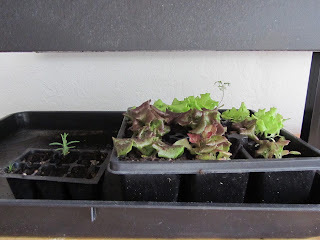 I am horrible with growing things indoors, but am seriously going to attempt it this winter for greens. I have a wonderful window that gets sunshine until 2pm each day--when there's sun so I'm hoping for the best. As for the stevia, I tried some of the leaves at the local co-op a few years back, I didn't care for the taste at all, good luck bringing it in. I have a bad reputation around here for killing houseplants. I forget to water them! Good luck growing some greens this winter. A sunny window is so nice to have! Stevia does seem to be a like it or hate it sort of thing. I like it only when blended with some sugar. But that's okay with me. This is so cool! I would try this--or even start seedlings--but my cat will munch on any plant I bring in here. have you ever grown cat grass? We had a cat that would eat the leaves off of an indoor palm plant. The vet recommended we grow cat grass for her to eat. But we never got to it. Oh well. Our houseplants were always pretty ratty looking.